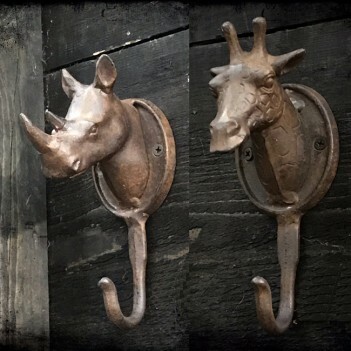 Cast iron hooks, two design options, giraffe and rhino. Dark brown finish. Heavy. Does not come supplied with screws.